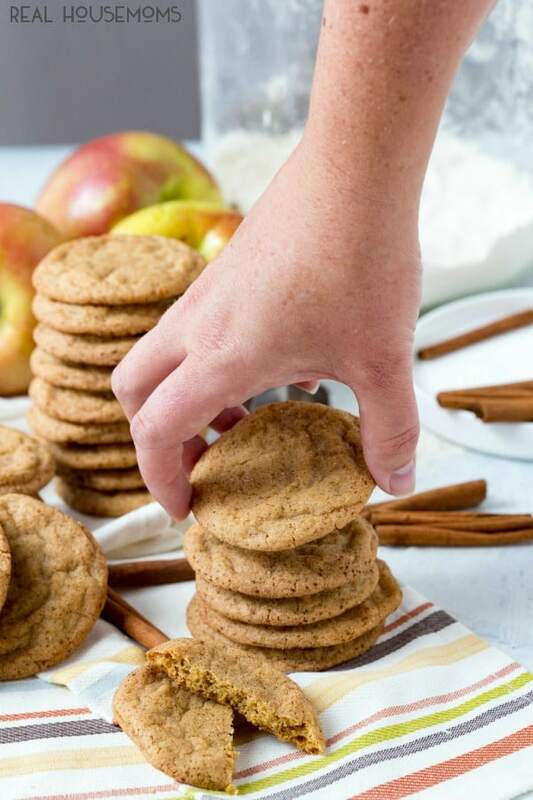 Apple Cider Snickerdoodles are the sweet cinnamon sugar cookie that you love with apple cider flavor to really step up the Fall flavor! So Fall is in full swing here in Portland. The leaves have started to change, the temperatures are in the 60’s, we’ve seen a few days of rain and football is back! I love settling down on Sundays on the couch with my husband to watch football. I am usually snuggled down in my slippers and leggings. I pop into the kitchen and bake something yummy or mix up some warm, cheesy dip and enjoy the day. We have a huge window in the family room that looks out over our backyard and all the green trees back there. I love to sit in the couch right by the window with my cup of tea and watch the rain and the game at the same time. This last Sunday I baked up a batch of Apple Cider Snickerdoodles to munch on during the game and they were gone crazy fast! The kids totally wanted to dive into these as soon as they came out of the oven. I had to stop it so that I could get some good pictures to share with you all. Don’t tell them but my husband and I totally had some warm out of the oven. These cookies are really amazing. 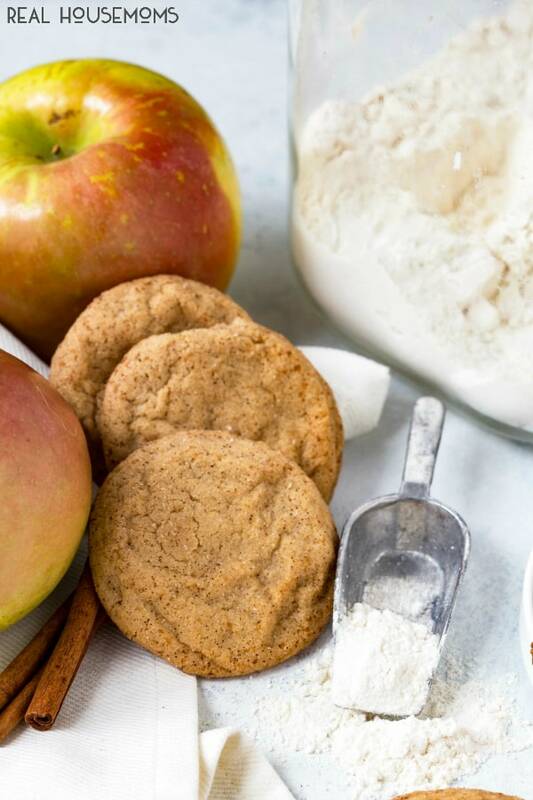 The first time I used the apple cider drink mix in a cookie was for Apple Cider Cookies with Caramel Filling. Those are amazing too! They are consistently one of the top cookies you guys make every Fall. 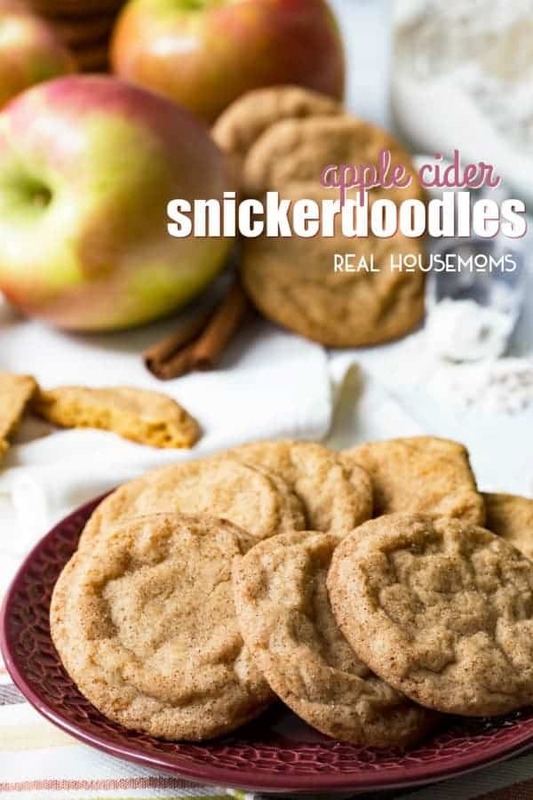 I was thinking about snickerdoodles the other day with my husband and started thinking it would be really fun to add some of the apple cider drink mix into the snickerdoodle coating. This way you get the apple flavor mixed with cinnamon and sugar. Guess what! I was right! It is fun and one of my new favorite cookies this Fall! These are so simple to make and perfect for baking on Sunday while you watch the game or avoid watching the game, depending on your football interest level!